Looking to adopt a pet but feeling overwhelmed with information? This guide will help you familiarize yourself with many of the policies and procedures you’ll come across. 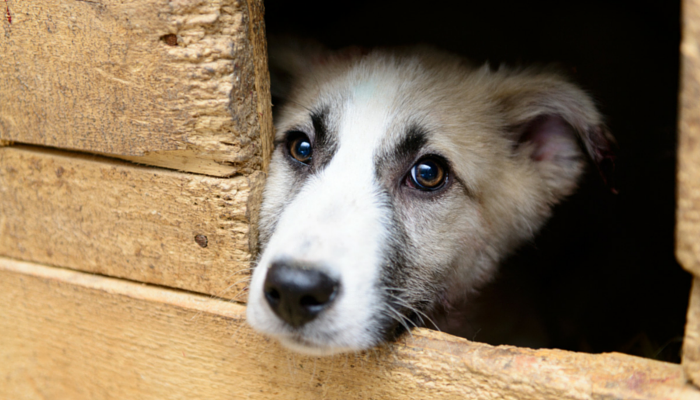 Here’s a glossary of terms associated with animal shelters, rescues & adoptions. Animal Shelter: (also called a pound, municipal shelter or animal control office) A place where stray, lost, abandoned and surrendered animals are kept. In the U.S. they’re ran by local counties or governments, and regulated by each state. It’s estimated that there’s currently 5000 independently ran animal shelters nationwide. Animal Rescue: An animal rescue group or organization is one that is dedicated to animal adoption. They take in stray, lost, abandoned and surrendered animals. Most rescue groups are ran by volunteers that rely on donations for funding. Some rescue groups have an adoption facility, and others care for animals in their own homes. Animal Adoption: (often referred to as pet rescue) The act of obtaining (adopting) a pet from an animal shelter or animal rescue organization. Adoption Event: Publicly held event when an animal rescue or shelter will be present along with some of their adoptable pets. Some events have animals that can be taken home the same day, while others may have an application process that needs to be completed first. 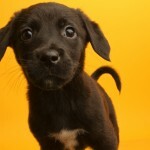 Adoption Fee: The cost of adopting an animal from a shelter or rescue. Fees are set by each rescue and shelter, and they cover the veterinary (spay/neuter surgery,vaccinations), food and transportation costs of caring for an animal. Adoption Outreach Center: Locations (usually veterinary offices or pet stores) that feature adoptable animals from a local animal shelter or rescue. Adoption Process: The process of adopting an animal from a shelter or rescue. Each shelter and rescue has their own adoption process which should be explained in their adoption application paperwork. Some shelters (and a few rescues) may approve adopters the same day, while others will take longer depending on the rescues pre-adoption requirements such as home checks and vet references. Euthanasia: The act of intentionally ending a life in order to relieve pain or suffering. 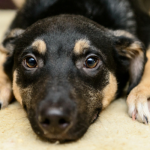 In the case of animal shelters euthanasia may be performed when facilities run out of space or when an animal is deemed less adoptable due to it’s health or temperament. Euthanasia rate: The percentage of animals a shelter euthanizes. Calculated by comparing the number of animals a shelter takes in to those that are euthanized. For example, if a shelter took in 5000 animals last year and euthanized 500 of them they’d have a 10% euthanasia rate. Many states publish their euthanasia statistics via annual animal shelter reports. (here’s Michigan’s from 2015 as an example) Euthanasia rate does not include owner requested euthanasia or euthanasia of animals that are deemed untreatable. Foster: A volunteer that works with shelters or rescues caring for adoptable animals in their own home until the animal can be placed in a permanent home. Foster to Adopt: The process of fostering an adoptable animal in your own home with the intention of adopting. A process for making sure the animal is a good fit in your home before making the adoption final. Home Check: The process of having someone from an animal rescue visit your home before an adoption is final. They may be checking to make sure you don’t have other (undisclosed) pets in the home, that your yard is secure (some require a fence), and to point out any potential hazards they may find. Limited Access: An animal shelter or rescue that either has restrictions on the animals it takes in, or one that only takes animals if they have room for them. a) A no kill policy means an animal shelter or rescue that saves (doesn’t euthanize) at least 90% of the animals that come in. b) A no kill animal shelter or rescue that does not kill healthy or treatable animals for space, and one that reserves euthanasia for pets that are terminally ill or deemed dangerous due to behavioral issues. Open Door Policy: An open door policy means an animal shelter that accepts all lost, stray, surrendered and abandoned pets. They will accept pets regardless of how full they are. Safer Test: A specific behavioral assessment of a dog in a shelter setting. In the safer test dogs are observed while interacting with other dogs, people, food and toys, noting any signs of unease or aggression. Save Rate: The number of animals an animal shelter saves (doesn’t euthanize), usually represented in percentages. Save rates are calculated by taking the total number of animals admitted to a shelter in a given year and comparing it to the number of animals that had live outcomes (adopted, transferred to a rescue, returned to owner) and those that were euthanized. For example, if a shelter took in 2000 animals last year and 1800 of them had live outcomes the shelter would have a 90% save rate. 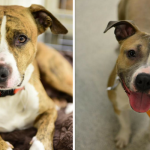 (it’s the inverse of the euthanasia rate which would be 10%) Shelters do not include owner requested euthanasia or euthanasia for an animal that’s been deemed untreatable in their calculations. 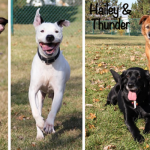 Special Needs: An adoptable pet that has specific needs, generally relating to a physical disability, behavioral issue or chronic health condition. The term is broadly used, and can include a wide range of conditions including allergies, diabetes, blindness and separation anxiety. Surrender: (also called owner surrender) An animal that was surrendered by it’s owner to an animal shelter or rescue. Stray: An animal that was found roaming or one that has been lost by it’s owner. Temperament Testing: (also called behavior assessment) The act of testing an animals behavior in the shelter setting. Tests are based on various interactions such as how a dog interacts with other dogs, cats, people and food. Trap Neuter Return: (also called TNR) A program where roaming (stray or feral) cats are trapped, neutered/spayed, and then returned to the outdoor location where they were found. Trial Period: Some shelters and rescues have a trial period where you can make sure a pet is a good fit for your home & family. If the pet isn’t a good fit you can return it to the shelter where it may be put back up for adoption pending any temperament or health issues. Vet Check: Some shelters and rescues will ask for your current veterinarian’s (if applicable) name and information on their adoption application. They may call your vet for health records on your current (or previous) pets to see if they’re spayed/neutered and up to date on their vaccinations.